Indian puppeteer and puppet theatre director. Suresh Dutta trained in art, classical Indian dance (including kathakali, bharatanatyam, and Manipuri), and music under various well-known teachers in West Bengal, his native state. In 1961-1962, he went on a Department of Education, Government of India scholarship to Moscow to study puppetry under world-renowned Soviet puppet master Sergei Obraztsov. 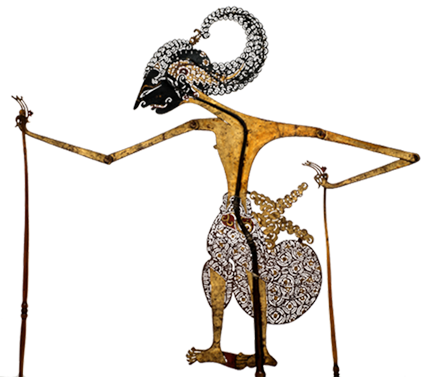 This training and experience gave Suresh Dutta his enduring passion for the rod puppet style of puppetry. Back in India, in 1963, he worked as dance director, costume designer, and puppetry director with Children’s Little Theatre (CLT), which produced plays such as Mowgli (based on Rudyard Kipling’s Jungle Book) and Mithua (1955). 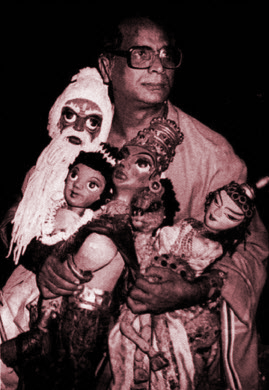 In 1973, Suresh Dutta founded the Calcutta Puppet Theatre (CPT). He directed many puppet plays of which the longest living and most beloved have been Aladin (with over 3,000 performances), Ramayana (1981), Seeta (1987, about the wife of Ramayana hero, Rama), and Lav-Kush (about Rama and Seeta’s twin sons). Other CPT plays include Gulabo-Sitabo (named after two wives one ugly, the other lovely), Nutan Jivan (New Life), Hoosh, Aparichita, Kagaz, Mamna, Halud Jhuti Morog, Boka Hash, Ajob Desh (Wonderland, which deals with fundamentalism), Kalo Desh, and Kalo Heera. Under his direction, CPT has represented India at many international festivals, notably in Japan, Sweden, Bangladesh, Pakistan, Canada, New York and New Jersey (USA), Laos, Indonesia, and Myanmar. In 1998, Suresh Dutta organized the first of many international puppet festivals held in Calcutta. 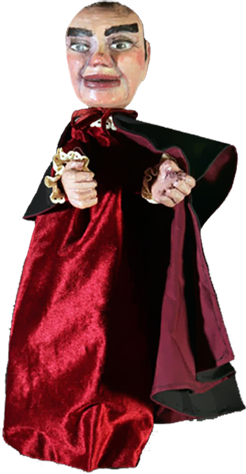 He has conducted workshops on puppetry and trained many young puppeteers. While directing Calcutta Puppet Theatre, Suresh Dutta continued his interest in allied fields, working as art director and set designer for theatre and films with the best-known professionals of the Bengal film industry. He has designed and supervised the completion of several modern auditoria throughout the eastern region of India. He has also directed two puppet-based films for children, The Begging Mouse and Lav-Kush. Among his fellowships and national and international awards, Suresh Dutta is the recipient of two prestigious national awards, the Sangeet Natak Akademi Award for his contribution to Indian puppetry (1987) and the Padmashree national award (2009) presented by the President of the Republic of India on behalf of the Government of India. Basu, Anjana. “The power of puppetry: Suresh Dutta”. http://www.harmonyindia.org/hportal/VirtualPageView.jsp?page_id=2303. Accessed 3 June 2013. “Calcutta Puppet Theatre”. http://www.calcuttapuppettheatre.org/index2.html. Accessed 3 June 2013.